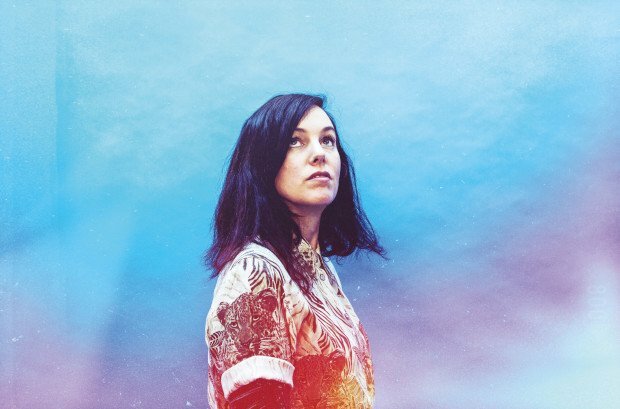 Composer Anna Meredith is no stranger to The List's Hot 100. After all, she topped our annual countdown in 2016 after the release of her debut album, Varmints, which won the Scottish Album of the Year Award. 2018 found Meredith in similarly creative form. Much of her work in contemporary classical and electronica captures an atmosphere and an emotion, so a move into film was a natural progression for her approach to songwriting. Her first movie work arrived this year as she composed the soundtrack for American comedian Bo Burnham's directorial debut Eighth Grade which had its world premiere at Sundance in January (Meredith's score was released by Columbia in July). Meredith toured America, Europe and the UK through the first quarter of 2018 with various orchestras, bands and ensembles, including the European premiere of Tuggemo, commissioned by the Kronos Quartet for their 50 for the Future Project. Five Telegrams – co-commissioned by BBC Proms, Edinburgh International Festival and 14-18 NOW – was one of her most ambitious projects to date. It marked the centenary of the end of World War I and was inspired by themes surrounding communications sent by young soldiers during the war. The music was brought to life with a spectacular synchronised light show, created by 59 Productions, projected onto the Royal Albert Hall in London as part of the First Night of the Proms, and onto the Usher Hall as the Edinburgh International Festival's opening event. Five Telegrams was also adapted for virtual reality piece 'Nothing to be Written' for a fully immersive experience. She returned to the EIF to perform Varmints with the Southbank Sinfonia as part of Light on the Shore, and also played the Fringe, with a live performance from her new album Anno (released on Moshi Moshi in August). This collaboration with the Scottish Ensemble mixed Vivaldi's Four Seasons with original electronic and contemporary work composed by Meredith.